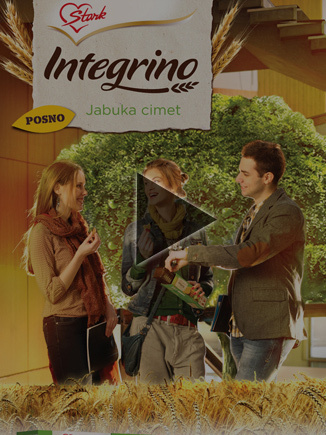 INTEGRINO - LAUNCH CAMPAIGN "THE FULL FLAVOUR OF HEALTH"
Following the innovations and trends at the biscuit production market, the company Soko Štark has decided to launch a new product category – wholegrain cookies, called Integrino! Our task was to introduce rational benefits but also emotional reasons for eating Integrino - to a wider audience. We have created an ATL and BTL campaigns and they have produced the 'grain invasion' over all coffee and snack breaks, and healthy snack meals. Promoting healthy habits and their place in the modern life, we have positioned Integrino as a perfect combination of pleasure and health! We worked hard, but with frequent snack-tasting breaks – we simply adore campaigns for delicious products!